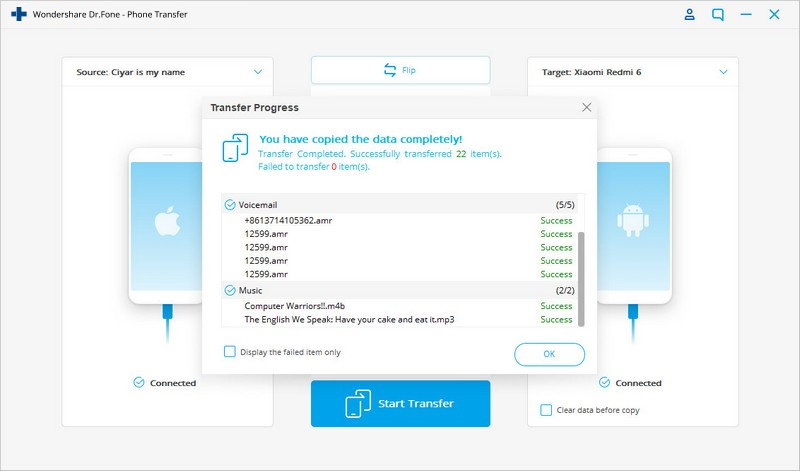 Transfers any data between any 2 devices (iOS or Android). Ready to switch your old iPhone for an Android smartphone? I'm sure it will bring you some new experience. However, by doing this, you have to face the problem: transfer data from iPhone to Android phone. 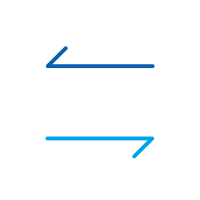 Since iOS on iPhone and Android on Android phone vary in many aspects, it's not easy to move from iPhone to Android. If that's what you're worrying about, you're in the right place. Here're some useful tutorials which can help you transfer contacts, SMS, photos, video, music, apps and calendars from your old iPhone to your new Android device without any hassle. 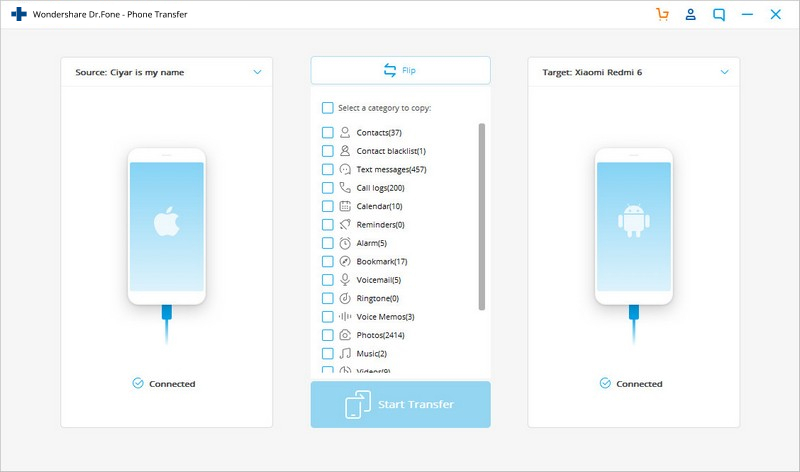 The easiest way to transfer data from iPhone to Android is to use the smart iPhone to android transfer tool, dr.fone - Switch. 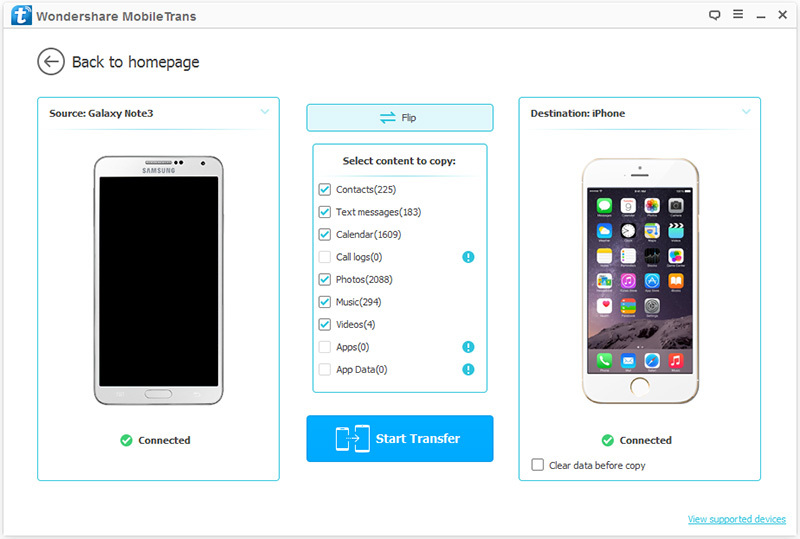 It enables you to easily transfer all contact both in phone memory and cloud account, like iCloud, Exchange and others, text messages, video, photos and music from iPhone(iPhone 6S Plus/iPhone 6S included) to Android phone or tablet. Takes less than 5 minutes to finish. 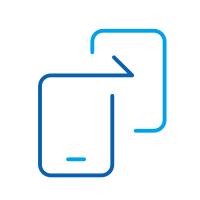 Enable to transfer from HTC, Samsung, Nokia, Motorola and more to iPhone X/8/7/SE/6s (Plus)/6 Plus/5s/5c/5/4S/4/3GS that run iOS 12/11/10/9/8/7/6/5. 1. Transfer Contacts in accounts: To transfer contacts in Facebook, Twitter, Google and any accounts on your iPhone to Android phone or tablet, you should sign in the accounts on your iPhone. 2. Backup and restore: Your Android phone or tablet is not right now in your hand? Don't worry. Just use it to backup iPhone data to computer, and then restore to your Android phone or tablet whenever you need. Launch dr.fone - Switch on your Windows PC or Mac. In its homepage, choose the "Switch" option and click on it. 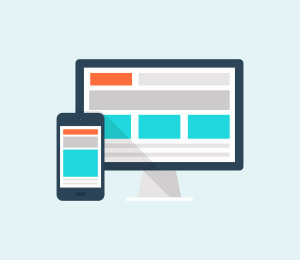 Connect your iPhone and Android device to the computer. Two devices will be soon detected and shown in the window below. Scan the supported files to ensure what you're going to transfer. Click "Start Transfer". If your have many useless files on your Android device, you can check "Clear data before copy". Don't have a computer at hand? 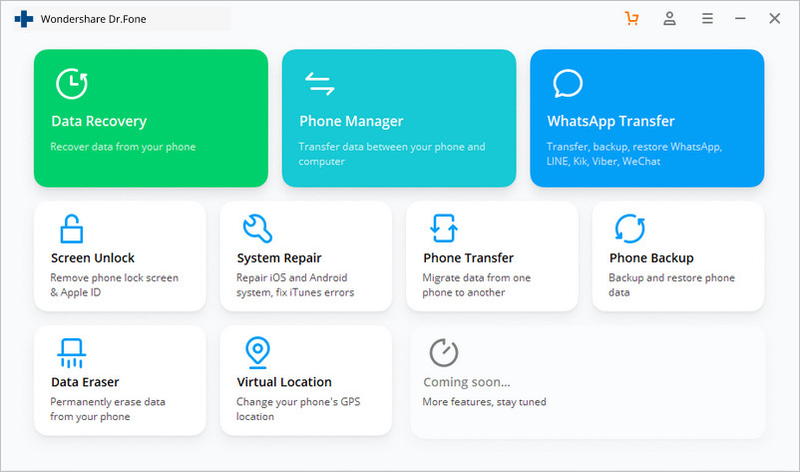 Just try the Android app of dr.fone - Switch, which allows you to directly transfer data from iPhone to Android, and bring iCloud data to Android without any hassle. 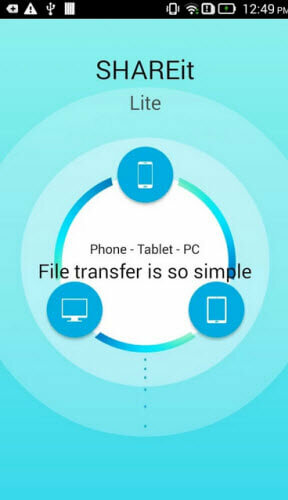 Besides dr.fone - Switch, there're some useful ways which empowers you to transfer files from iPhone to Android. They're totally free, but just take some time. As you know, apps on iPhone are in .ipa, .pxl or .deb formats, while Android apps are .apk file. Thus, it's impossible to directly install iPhone apps on your Android phone or tablet, let alone transfer app data from iPhone to Android. However, many iPhone apps have their corresponding Android versions, which you can download from Google Play Store. 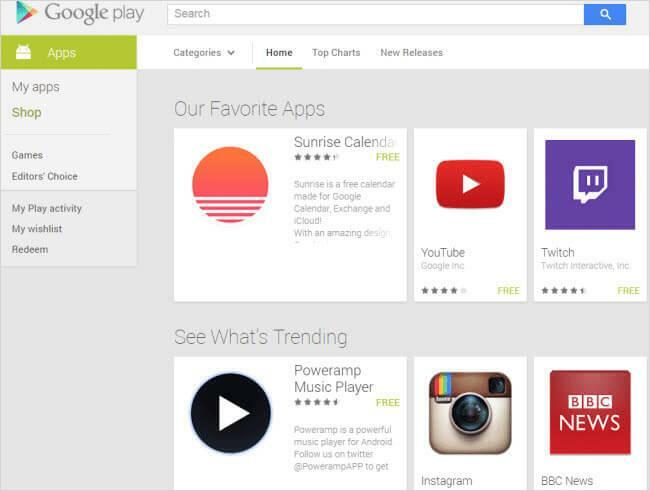 Search Google Play on the internet and then search the apps that you play on your iPhone. Then, download and install the apps on your Android phone or tablet. When switching from iPhone to Android, one of the most important content you want to transfer is contacts. Unfortunately, iPhone sim card is smaller than the one in Android phone and iPhone contacts are usually saved in phone memory card. That means, it's not available to just insert iPhone sim card on Android phone, which usually works in transferring contacts from android to android. Don't worry. 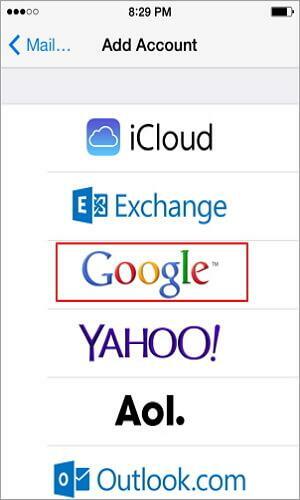 If you like saving iPhone contacts to accounts, like iCloud, Google, it's easy to do iPhone to Android contact transfer. Here, I take iCloud as an example. Step 1. 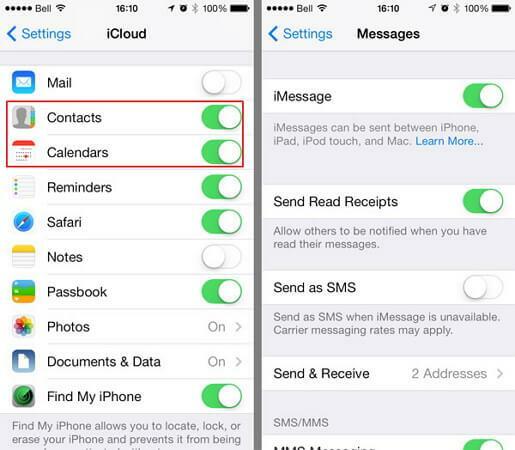 On your iPhone, navigate to Settings and select iCloud. Step 2. 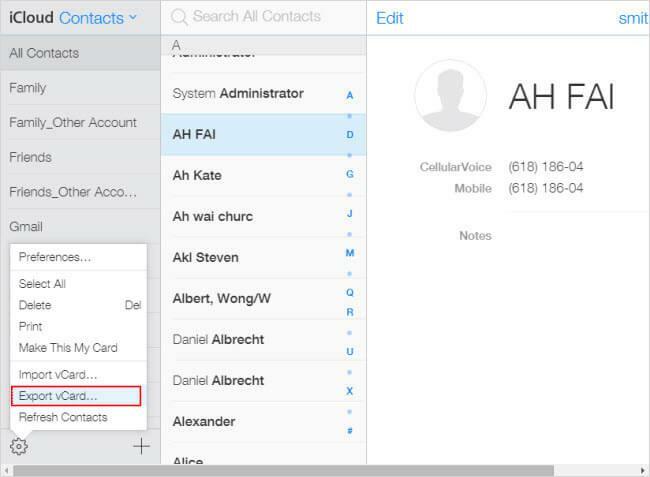 Sign in your iCloud account and turn on Contacts to sync contacts between iPhone and iCloud. Calendars can also be ticked at the same time, and then sync calendar from iCloud to Android. Step 3. Open browser and land iCloud main page. Then, click Contacts to enter contact management panel. Click Show Actions Menu and click Export vCard…. Then, contacts in iCloud will be saved as a vCard file on the computer. Step 4. Plug in a USB cable to connect your Android phone or tablet to computer. When it's recognized, go and open the SD card of your Android phone. Cut and paste the exported vCard file to the SD card folder. Step 5. Navigate to the Contacts app on your Android phone. Tap the menu icon left to main button and you get the menu list. 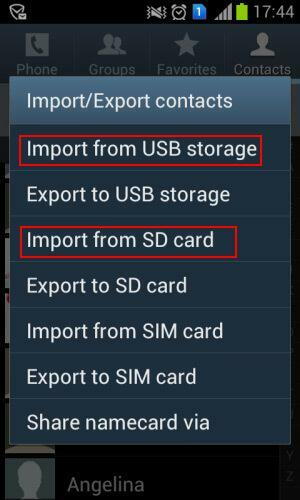 Tap Import/Export and choose Import from usb storage. Then, import the vCard file to your Android phone. To transfer iPhone SMS to Android, you can turn to two Android apps for help. 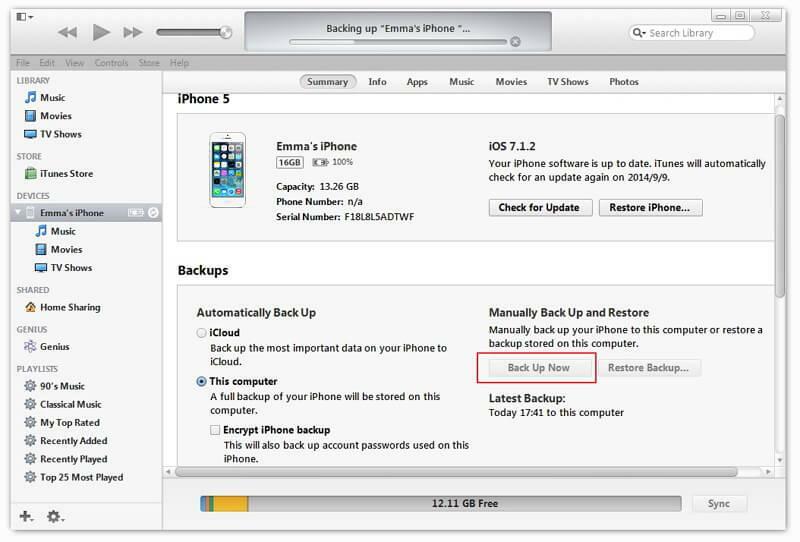 With them, you can extract iPhone SMS from iTunes backup and transfer to Android phone. Step 1. Open iTunes and connect your iPhone to the computer via USB cable. In your iPhone control panel, click Back Up Now to backup your iPhone to the computer. Step 2. Connect your Android phone to computer with a USB cable. Copy the exported iTunes backup file to the SD card of your Android phone. Step 3. Go to Google Plat on your Android phone or tablet and download iSMS2droid on your Android phone. Open iSMS2droid and tap Select iPhone SMS Database. Then, choose the imported iTunes backup file. Choose all or selected text messages and convert them to an XML file. Step 4. 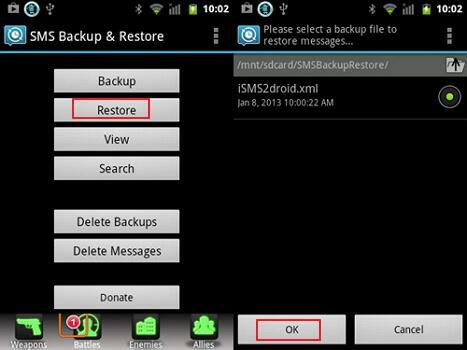 Download and install sms backup & Restore on your Android phone. 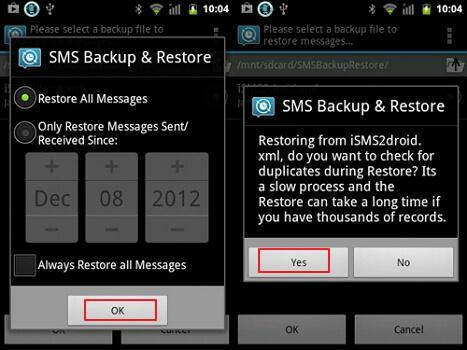 Use it to restore your iPhone's SMS in XML file to the Android's SMS database. It's known that Apple gives you access to iPhone Camera Roll photos. You can copy and paste iPhone photos you take and downloaded from internet to Android phone or tablet with USB cables. Plug in USB cables to connect your iPhone and Android phone to computer. Your iPhone and Android phone will be mounted as flash drives. Open your iPhone folder and click Internal Storage > DCIM. Then, choose your wanted photos and copy them to the SD card of your Android phone. Note: By using this way, you can export photos in iPhone Camera Roll to Android phone. However, as for the photos in the Photo Library, you still have no way expect using some third-party tool, like dr.fone - Switch. Have purchased hundreds of thousands of songs and video and now want to transfer to your new Android phone or tablet. It's a piece of cake. iTunes can do that for you. Just follow the easy tutorial below. Step 1. Open iTunes. Click Store > Authorize This Computer…. Fill out your apple id and password. Get your iPhone and Android phone connected with a USB cable and open iTunes. Right click your iPhone. In the pull-down list, choose Transfer Purchased to transfer iPhone music and video back to iTunes. 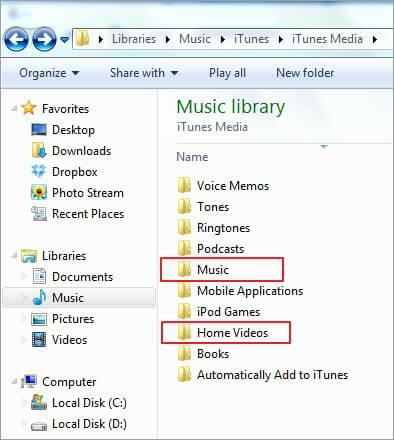 Navigate to the iTunes media folder on the computer. C:UsersAdministratorMusiciTunesiTunes Media. Find your wanted music and video and copy them to your Android phone SD card. 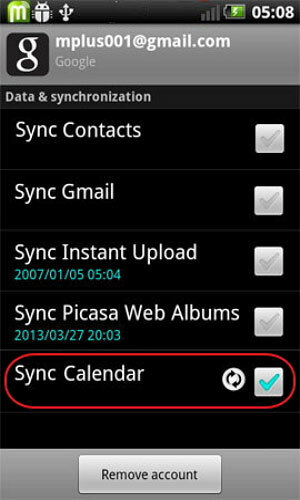 It's easy to sync Calendars from iPhone to Android, as long as you have the Google account sync feature on both iPhone and Android phone. Step 1. 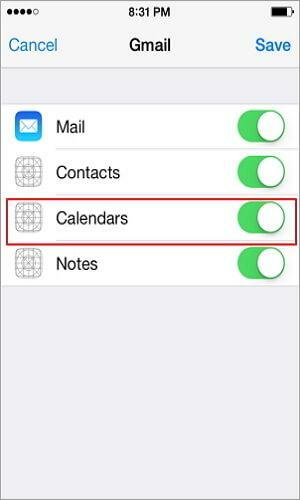 On your iPhone, tap Settings, and scroll down the screen to tap Mail, Contacts, Calendars and then choose Google. Step 2. Fill in your Google account info: name, email and password. In the Description screen, enter a description of the calendars. Step 3. Tap Next and turn on Calendars. Then, tap Save to begin syncing iPhone calendars with Google. Step 4. 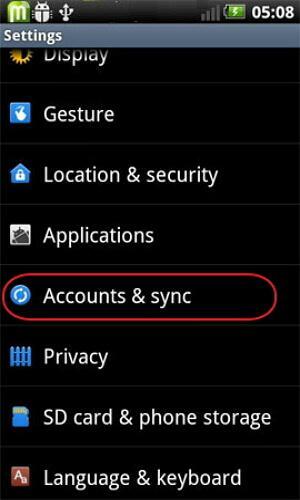 On your Android phone or tablet, tap Settings > Account & sync. Select Google account and tap Sync Calendars and Sync Now. Want to switch from iPad to Android? The article shows you how to manage to transfer music, video, photos, contacts and more from iPad to Android.